We all want to attract someone, whether customers, admirers or lovers. And the good news? Video is ideally suited to draw in eyeballs, engage emotions and ultimatly hook the heart. So if you're a brand trying to make your leads fall in love with you, don't be afraid to open up and share your values through a powerful brand film or explainer animation. The three videos below use attraction as a starting point for some downright charming video content. Let's dive in. Even at 4½ minutes long, this video makes it hard to tear your eyes away. Following in the footsteps of Red Bull, Audi have attached their name to professional ski racing to reinforce their values of high-performance excellence. Here's an incredible piece of video content to prove it. Online customers are hard to attract but easy to distract. This animation from Mailchimp uses a beautifully simple metaphor of customer-as-cat to advertise their new integration with Google retargeting ads. Though the script is simple, the visuals inject life and excitement. Tinder are trying to reposition themselves as a more grownup dating service. 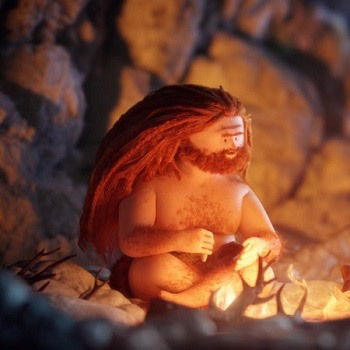 This cute animation does two clever things: it presents Tinder as the 'natural' option, equating it with how humans got together back when they lived in caves, while also depicting dating as fun, light and breezy.